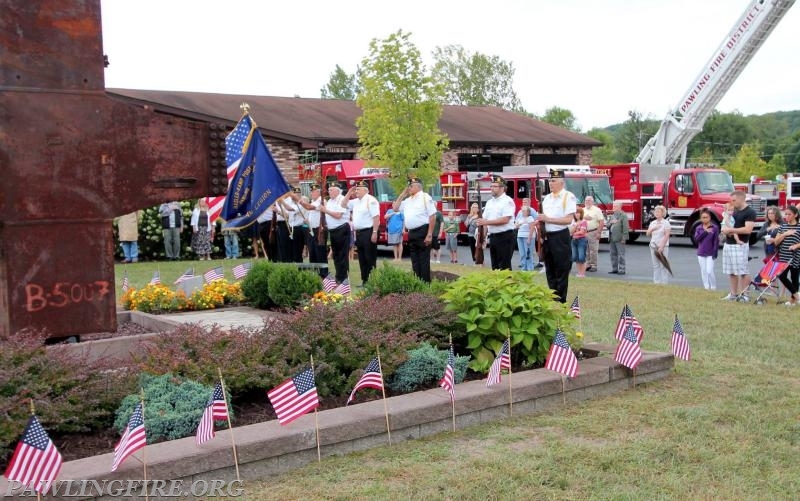 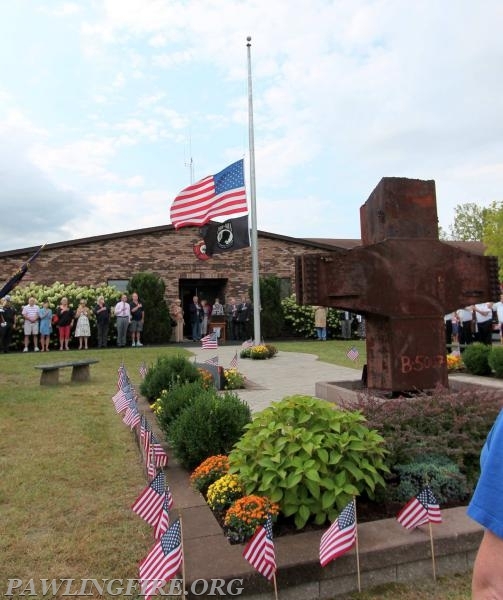 On the morning of September 11, 2016, the Pawling Fire Department hosted a 9/11 Remembrance Memorial Ceremony at Pawling Station 1’s 9/11 Memorial Garden on South Street. 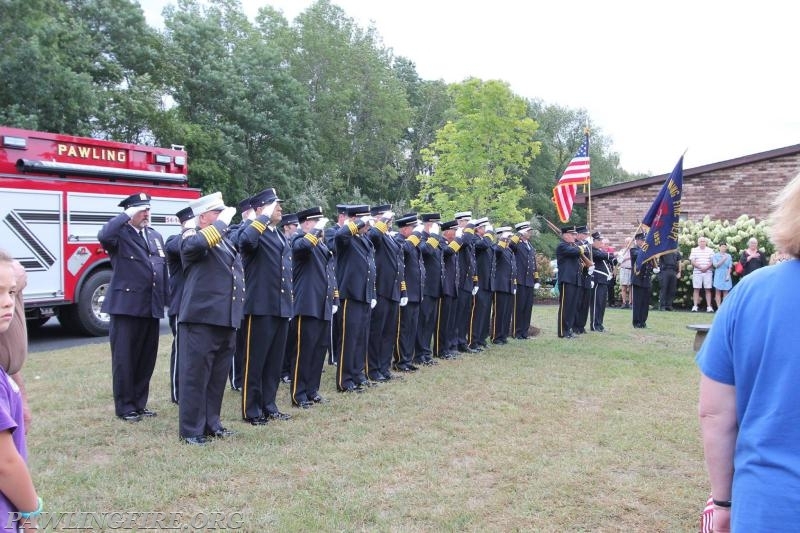 Color Guards were provided by the Pawling Fire Department and the Hasler-Kamp V.F.W. 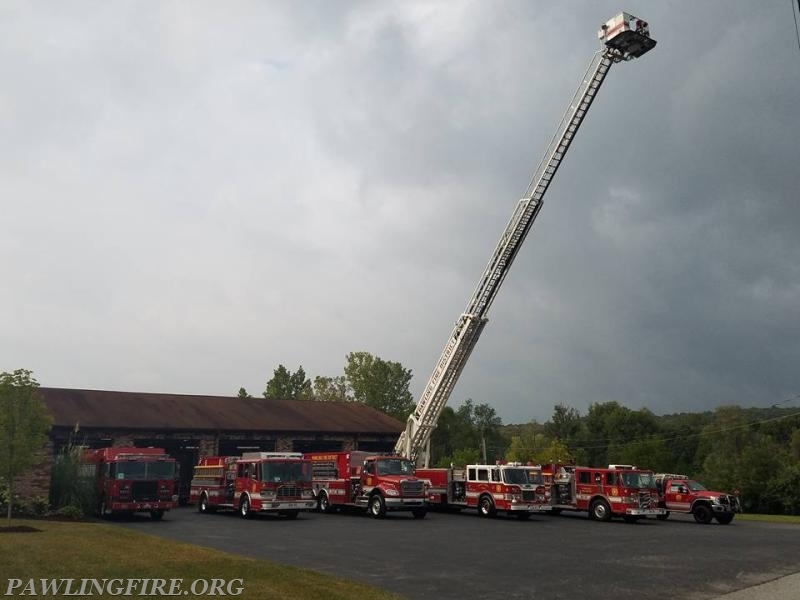 Post # 215. 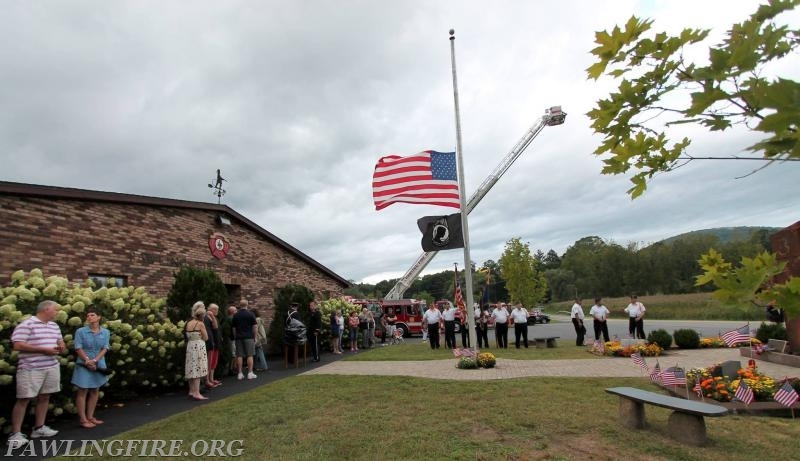 Pawling Fire Department’s Chaplin, the Reverend Mark Allan, opened the Ceremony with a prayer followed by Pawling Firefighter Dan Burgard playing the Star Bangled Banner on his bugle. 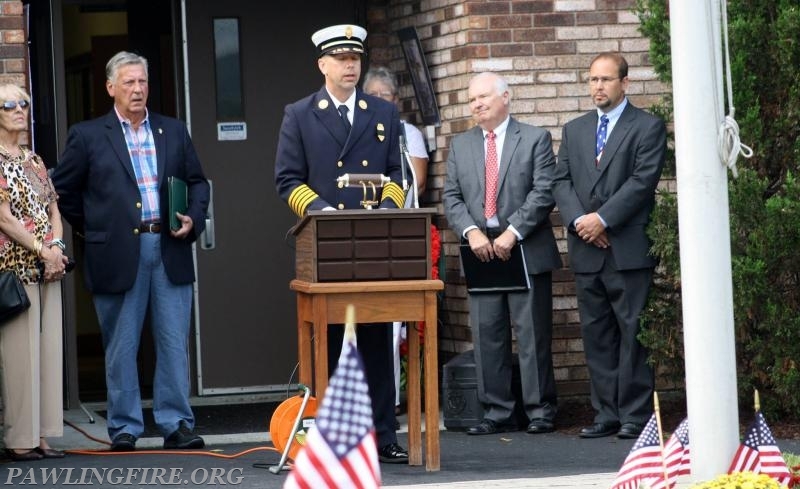 District Chief Everett White then welcomed guests and read the names of the people and companies that helped make our 9/11 Memorial Garden possible. 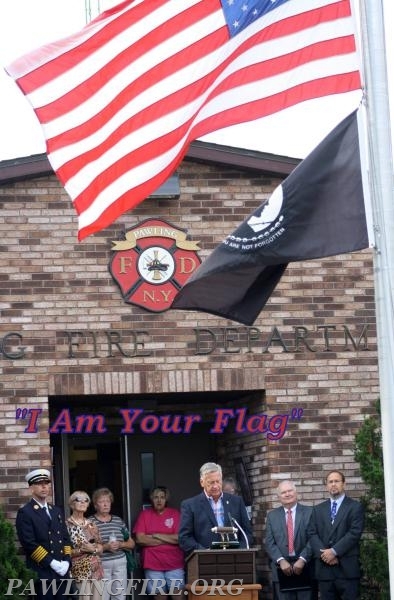 Dutchess County Sheriff Butch Anderson then spoke and read the poem “I Am Your Flag”. 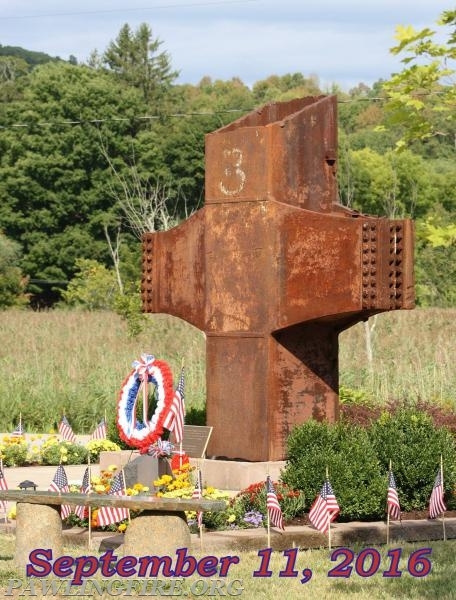 Pawling Town Supervisor Dave Kelly spoke and told a few personal stories of people he met who helped at ground zero. 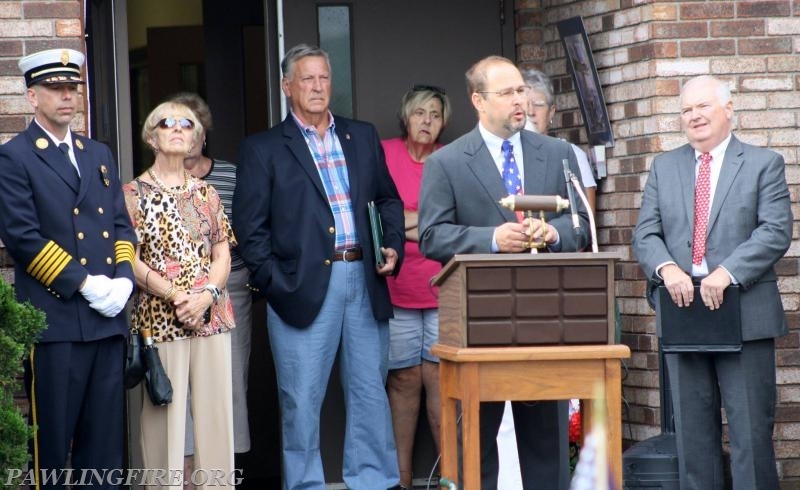 The Reverend Mark Allan then offered a closing prayer. 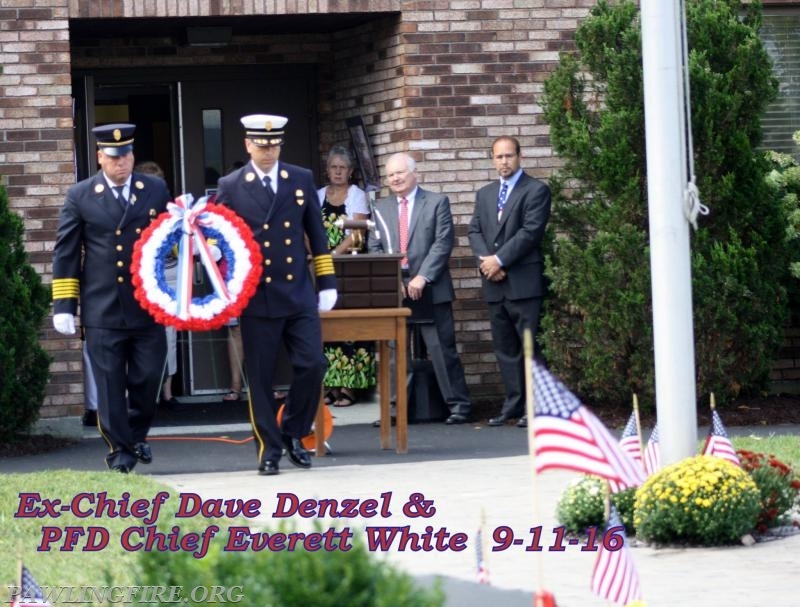 After the closing prayer, Ex-Chief Dave Denzel and Chief Everett White placed a memorial wreath at the base of our 9/11 Memorial with a 12 gun salute that was done by the Hasler-Kamp V.F.W. 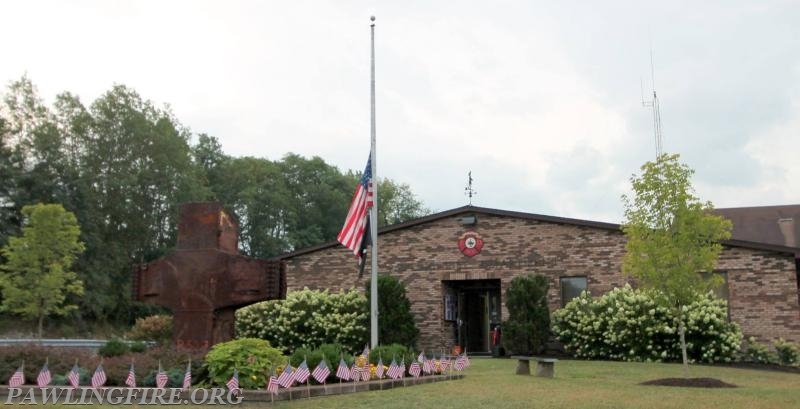 Post # 215. 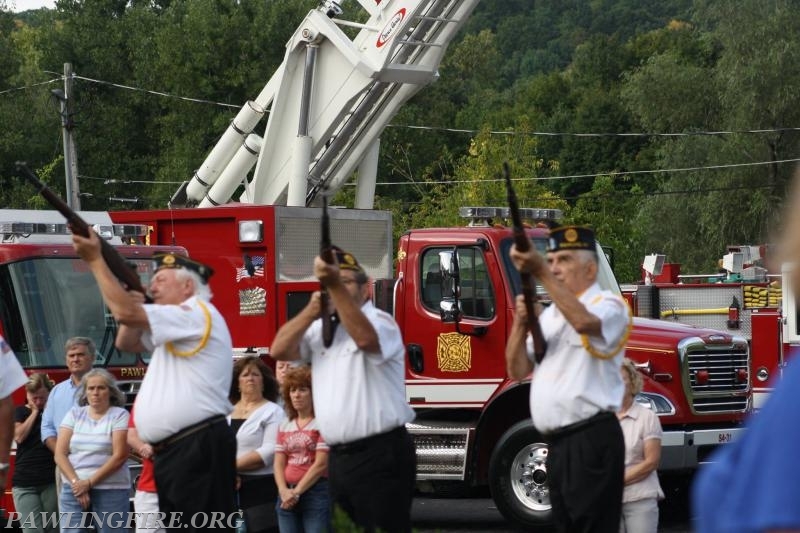 Taps was then played by Pawling Firefighter Dan Burgard which concluded the ceremony.